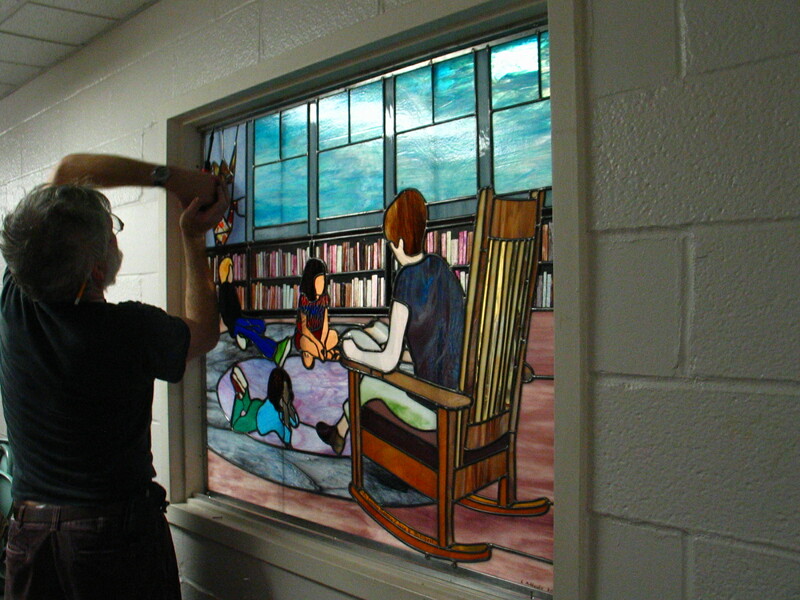 Lawrence Ribbecke lives and works in Burlington, Vermont, where he designs, manufactures and restores stained glass windows in his studio at 377 Pine Street. 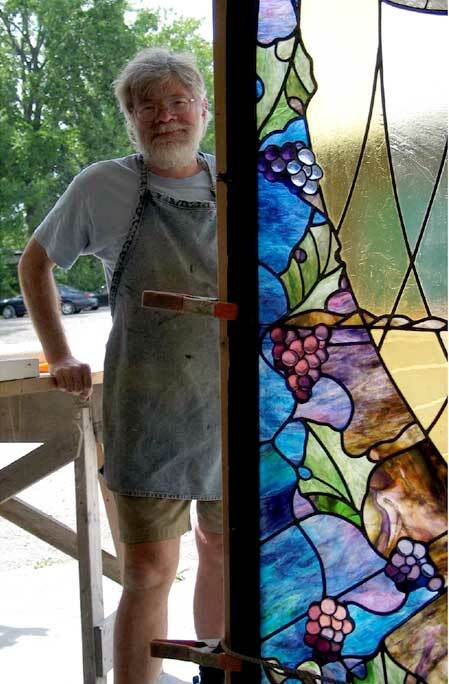 In addition to the studio, which is open by appointment, he maintains a retail store which is open to the public on a walk-in basis Tuesdays through Saturdays, selling finished stained glass panels, tools, books, and supplies for stained glass. He is noted as an admirer of American and European historical styles, but as a designer he does not limit his windows by relying only on the past. Along with history and tradition, he often incorporates contemporary ideas and materials into his designs. His mission as he sees it is to listen well to his clients, look at the quality of light in their buildings, and then build windows that are right for his client’s needs and environments. He accepts commissions of all kinds, including residential, commercial, and ecclesiastical work. including restoration and repair work. Mr. Ribbecke was born in 1948 in Brooklyn, New York. From 1961 to 1965 he attended Brooklyn Preparatory School, a Jesuit high school emphasizing humanities and classical studies (ancient and modern history and literature, Greek and Latin, and modern languages). It was during this time that he learned to appreciate medieval art, making numerous visits to the Cloisters, Guggenheim and Whitney Museums and the Metropolitan Museum of Art in New York City. As a young man, Ribbecke had a strong interest and some ability in mathematics and the sciences, due in large part to the strong parental influence of his chemical engineer father. Forced to choose between art and science, he found the decision made for him when he was granted a full scholarship to attend M.I.T., from which he received a Bachelor of Science degree in Electrical Engineering in 1969. 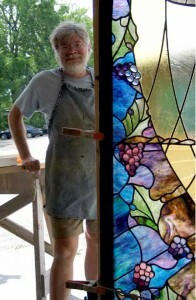 It was while living in Boston from 1965 to 1969, Ribbecke learned basic stained glass techniques from Richard MacDonald at Weather Glass Stained Glass Gallery in Arlington, Mass., and from Irving McClair at Stained Glass of Hanover in Rockland, Mass. After moving to Vermont in 1971, Ribbecke set up his first glass workshop and studio in Hyde Park. 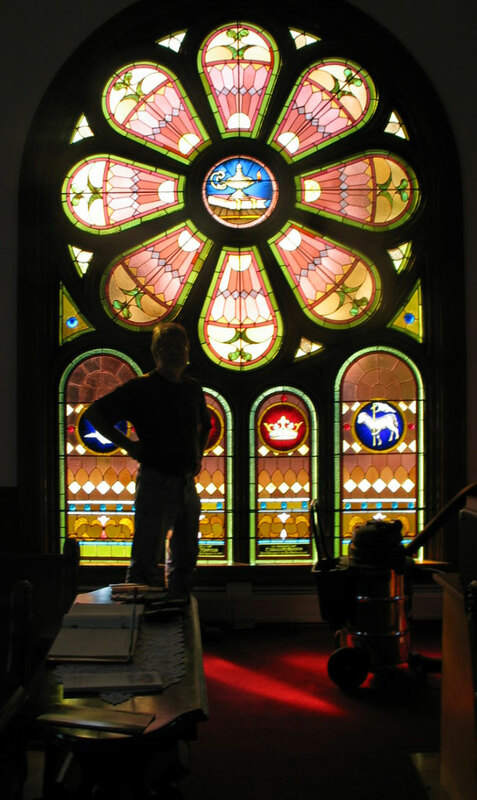 Mr Ribbecke has been designing, building and restoring windows for homes and churches ever since. He relocated to Burlington in 1978.